All the 90's kids remember this trend from back in the day. Tying a long sleeve shirt around the waist was just the thing to do, then at one point became a nerdy thing, but its back again. 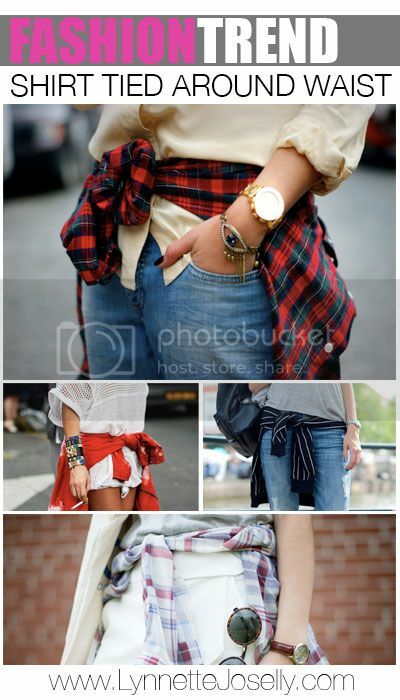 Now a days, this grunge trend typically involves the use of a long sleeve plaid or denim shirt tied around the waist while wearing destroyed jeans. Well ladies... start wrapping!